Barcelona MWC I OBJAVLJENO 04.03.2017. Between 27 February and 2 March 2017, Spain hosted the Mobile World Congress in Barcelona, an international event organized by GSMA. 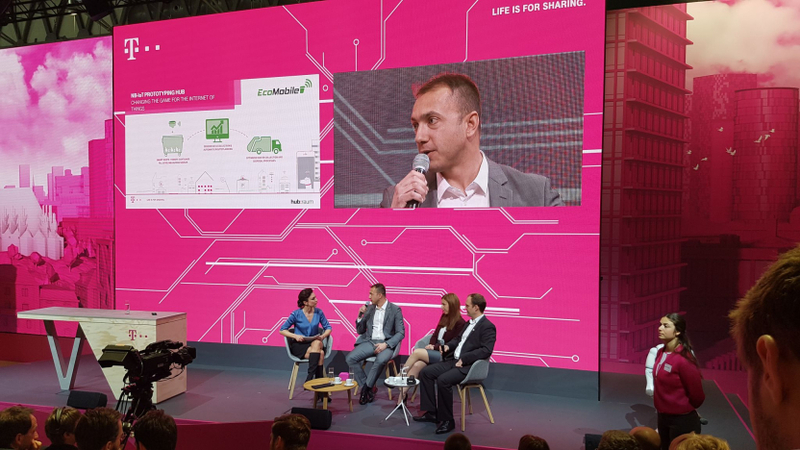 Through a partnership programme of Deutsche Telecom, EcoMobile presented its solution for monitoring container fill levels at this, world's largest, fair for mobile operators.